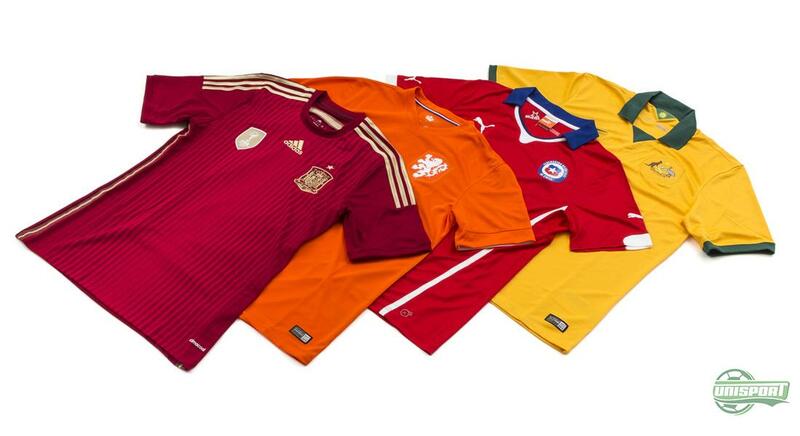 World Cup 2014 - Group B: Will Spain and the Netherlands do the business? In today’s warm up for the World Cup in Brazil we take a closer look at group B, which is definitely one of the more testing groups. With the last World Cups two finalists, a very confident Chilean side and an Australian squad that never backs down, things could get very tense in the fiery Group B. The World Cup final in 2010 won’t go down in history as the prettiest, or most well-played affair, but what it lacked in flair it had in intensity. 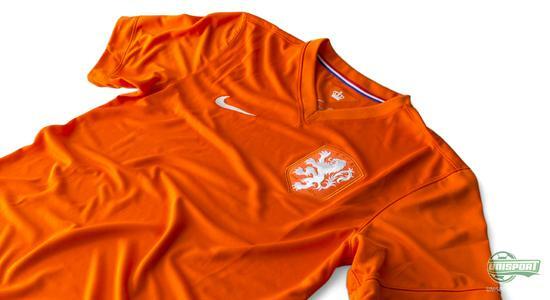 Holland will especially look forward to the prospect of facing off with Spain again, as they will want some revenge, while Spain hope to continue their impressive showings at major cup tournaments. Group B will be kicked off with the biggest game of the lot, with the two giants in question, Spain and Holland, colliding. There will therefore be no easy warm-up games for the two tournament favourites. In the second group game Chile and Australia meet for just the 6th time in their history and for only the 2nd time in a World Cup. Their first ever meeting was in the 1974 World Cup, where it finished a dull 0-0, but this year in Brazil neither team can afford to drop points, as difficult games face the teams against Spain and Holland. 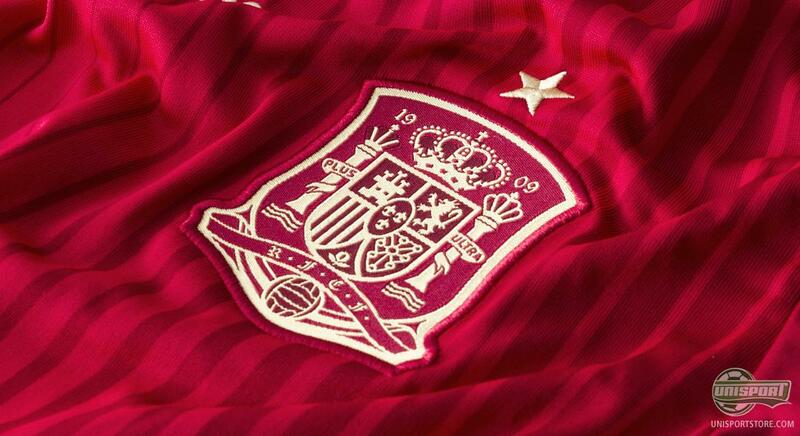 Spain probably have, albeit small, the roll as favourites in the explosive group. Led by Vicente del Bosque, the defending World and European champions would be lying if they didn’t expect to make it to the very latest stages of the tournaments. 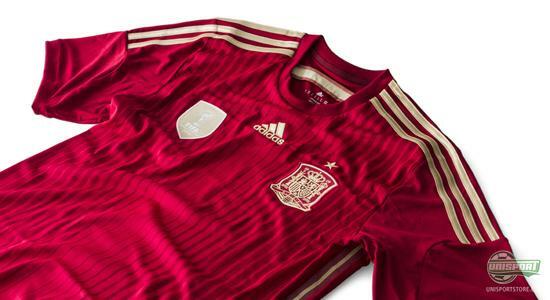 Adidas have been in charge of the Spanish kit and their classic design, with the royal colours, will definitely inspire the squad to perform to their very best. Get ready for the World Cup with the Spanish national team shirt – 71 Euro. Holland are the Spanish teams biggest rivals in the group and the team filled with football heritage will be right at their heels. One thing the nation however sorely misses on the trophy shelf is the coveted World Cup. Even though they have fought their way to three finals, they have had their hearts crushed all three times by Spain, Argentina and Germany. 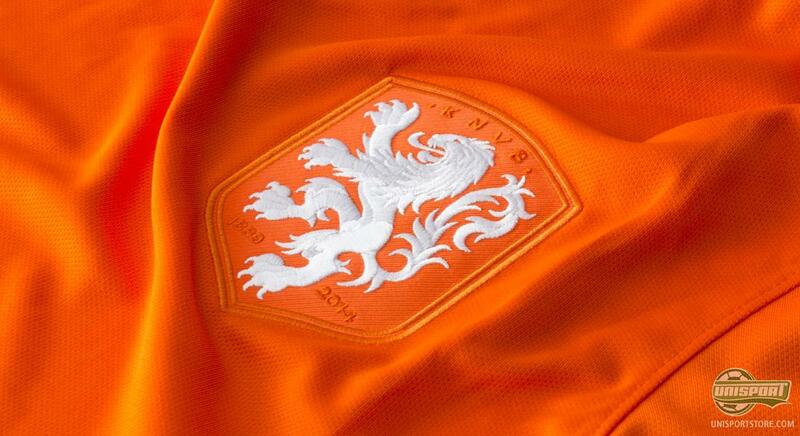 This year celebrates the 125th anniversary of the Dutch football association and therefore Nike have a great chance to celebrate Holland’s proud football history. The simple design means Nike get a chance to show off what is really important on the shirts, which is the logo placed over the heart. Get the Dutch anniversary World Cup national team shirt here - 78 Euro. 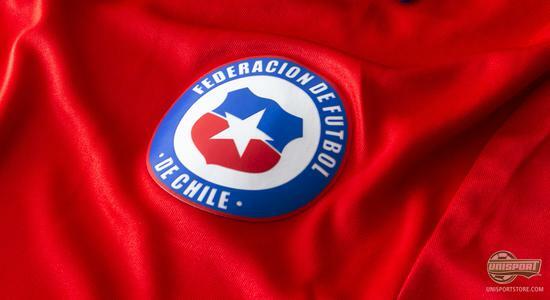 Chile are playing in their ninth major tournament and the proud people are aiming to make an appearance among the final 16 teams in the tournament. Not since the World Cup was played in Chile have they managed to make it to 1/8-finals and it will be quite a mountain to climb for the Chileans if they want to repeat the feat. Puma have made sure Sanchez & co. are dressed for the occasion, with a home kit that shows off the countries passion and love of football. 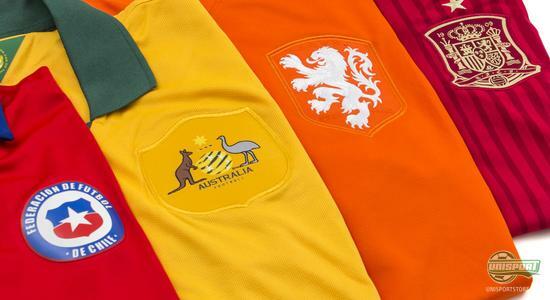 The Australians made their first World Cup appearance in 1974 and that was a ground breaking year in Australian football, as that really put them on the footballing map. It did however take 32 years, before they once again had a showing at the World Cup. 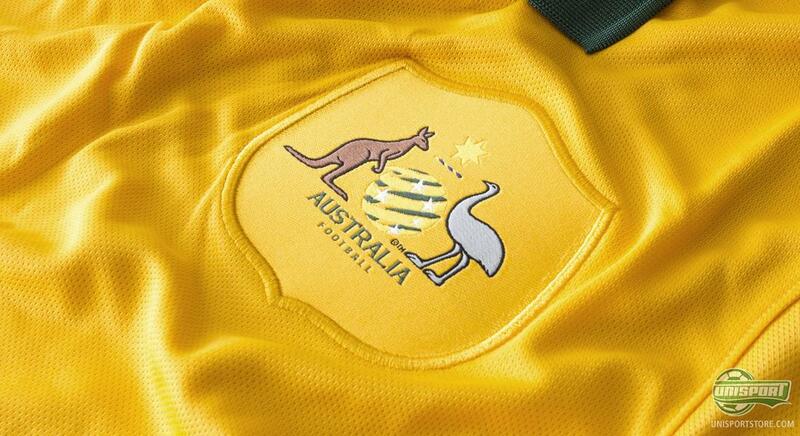 This year they feature for the third time running, so it looks like The Socceroo’s are here to stay. 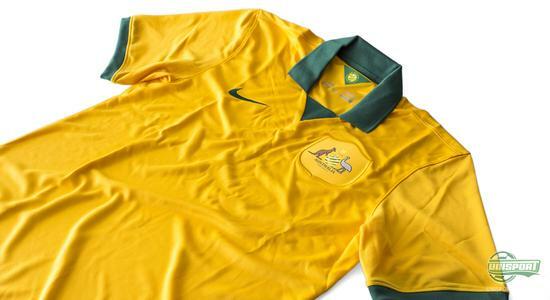 Nike have designed a shirt with a classic Australian look, which is sure to be a hit in Brazil, with whom they share colours. 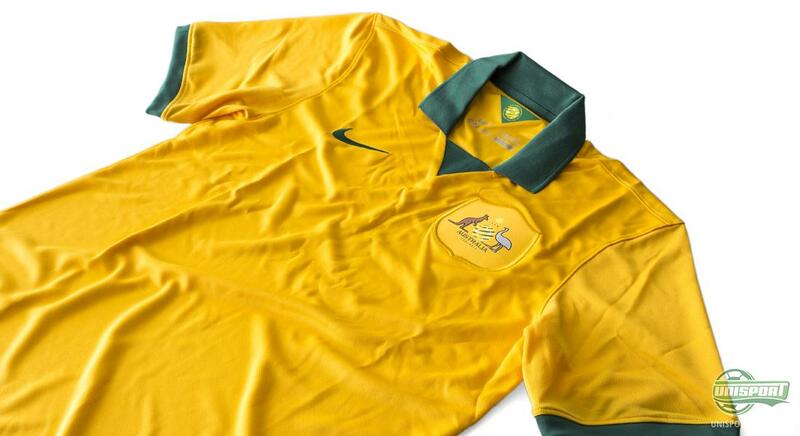 You can support Australia by getting their World Cup national team shirt now – 85 Euro. Group B includes two football superpowers and the world will definitely be watching, when Holland and Spain clash in the groups opening game. Chile and Australia will both be playing with nothing to lose and everything to gain, so expect plenty of intensity and heart, when watching group B. What game are you looking forward to seeing the most?